I’m trying to wrap my head around the reasoning behind the various proposals. The viewport-based width definitions in src-n seem to undermine CSS’s role, no? And this is done because you want browser preloaders to be able to gander what image load by markup alone before CSS is loaded and applied? I’m concerned that browser preloading was concieved in a mostly pre-RWD world (where it has loads of advantages) – and is now hampering responsive images – especially in the light of the proposed postpone and lazyload img attributes (which effectively disables preloading anyway). 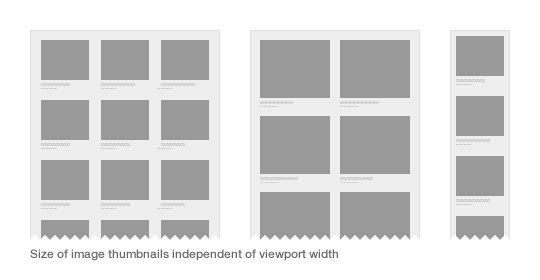 I believe that we would be best served by CSS ruling the dimensions of a displayed image in a webpage. Upholding the seperation of concerns we have been working towards for years now. I can see how src-n is shorter in syntax compared to previous proposals – but you still have to spell out each and every image url. This makes perfect sense as a proposal, even if the syntax is a little icky. 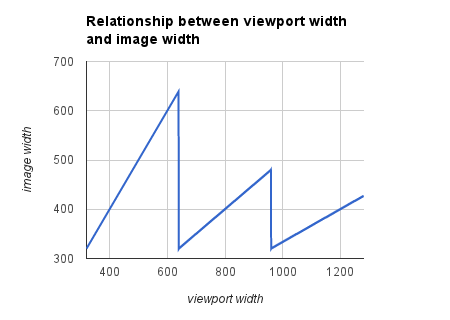 We have just recently implemented a solution using a <picture> polyfill and ran into the “smaller-viewports-larger-images” problem. That, added to the need of sizing the images to be somewhere in-between breakpoints (to allow for more efficient coverage of image quality) lead to a rather confusing spreadsheet to track all the images and breakpoints needed. We abandoned hope of serving 2x images due to the complexity. Icky syntax or not, this would be a much better solution.